100 creators will produce horror-inspired VR videos at YouTube Spaces around the world. YouTube is back at it again for Halloween. Following up on last year’s weekly 360° horror video series shot at YouTube Space LA, the Google-owned video platform is going even bigger this October. In partnership with Blumhouse Productions (The Purge, Ouija, Insidious and Paranormal Activity franchises) and producer Jason Blum, YouTube is collaborating with over 100 creators from around the world to produce horror-inspired VR videos for their YouTube channels. Over the next few weeks, top creators including Markiplier, PrankVsPrank, Furious Pete, Vitalyzdtv and KrazyRayRay, will create original VR videos that answer the question: What is your worst fear? 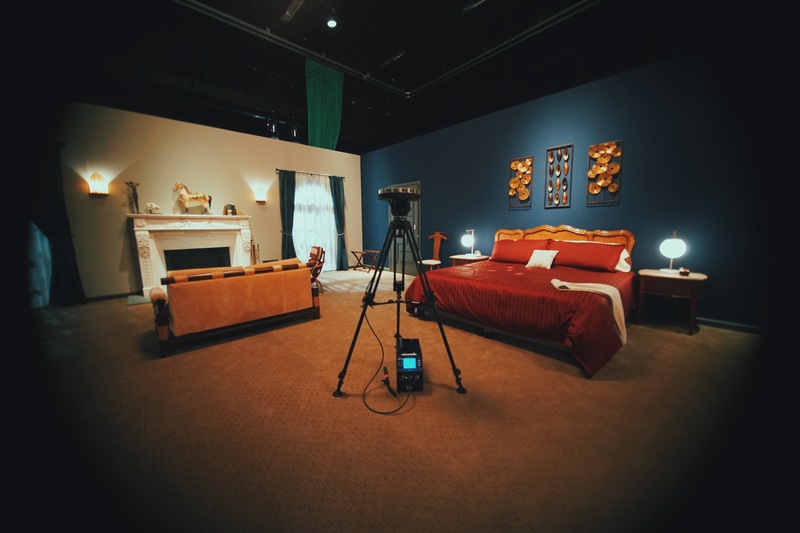 We’re sure the videos will be shot to scare and are planned to take place in a hotel room simply known as room 301, inspired by the nail-biting Blumhouse film aesthetic at YouTube Spaces in Los Angeles, London, Tokyo, Berlin, Toronto and New York. Additionally, creators from YouTube Spaces in Paris and Sao Paulo will send select creators to shoot at YouTube Space LA as part of this program. CryptTV, a digital genre network that has a strategic partnership with Blumhouse, is also serving as a production advisor. Videos are slated to go live between October 20, 2016 and Halloween — so we can expect an avalanche of content during that week. To capture their cinematic vision, YouTube creators will of course utilize Google’s Jump Cameras to create their immersive videos. Jump enables any creator to capture the world in 3D 360° video and make it available to everyone on YouTube. Fans around the world will be able to view these 360° videos on desktop or mobile at youtube.com/thespace and also directly on each participating YouTube channel. As well as the creators’ own videos, YouTube Space LA will play host to a “mega collab” video directed by Jesse Wellens from PrankVsPrank that will serve as the origin story for the global narrative and feature some of YouTube’s biggest stars. In this video, you will get a chance to watch your favorite creators receive a key to hotel room 301 — also known as YouTube Purgatory — that will inevitably lead you to experience your worst fears. For the last three years, YouTube Spaces have partnered with Hollywood’s masters of horror and offered extensive production resources to creators with the goal of inspiring innovative content in the lead up to Halloween. Previous partners have included Guillermo del Toro and Legendary Entertainment, Skybound, creators of The Walking Dead, and the Stan Winston School of Character Arts. The effort is part of YouTube Spaces’ mission to promote production technology and innovation on YouTube and to bring together the most creative people in the world.